Each year more than 3,000 theatregoers from Aspen to Glenwood Springs and every corner of Colorado enter Thunder River Theatre Company's doors for an exciting, award-winning theatre season from late September through early July. 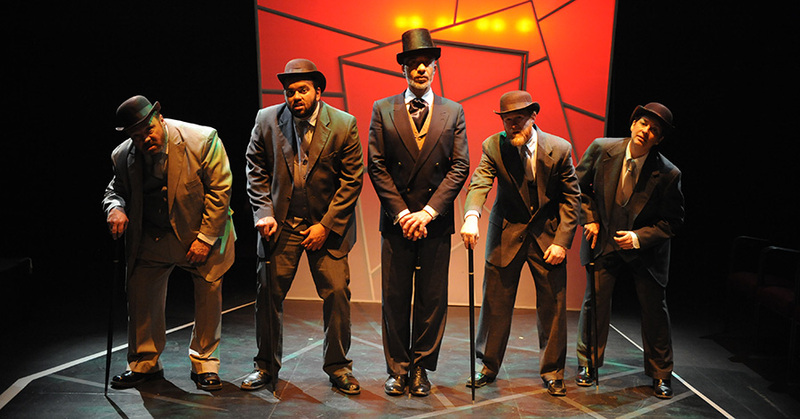 Four plays are selected from a range of genres including the classics such as Shakespeare, Chekhov, Ibsen, Moliere, and the Greeks, the renowned American canon of Miller, O'Neill, Williams and Shepard, and diverse contemporary voices such as Reza, Howe, Mamet, Guare, Hatcher, and many others. Youngsters are the artists, voices and audience of the future, and TRTC is committed to opening our doors even further to the children and families of our community. A new program, TRTC for Young Audiences, will debut during April and May 2017. Helmed by award-winning director, Wendy Moore, our cast of zany adults will present the Western Slope debut of "Lilly's Purple Plastic Purse," based on the award-winning children's book series by Kevin Henkes. Our cast of zany adults is holding their breath with anticipation for the sounds of giggles and gasps that we hope will reverberate through the theatre. Students and teachers enjoy access to free theatre and literary seminars, daytime visits to the theatre, and significantly discounted tickets to special student matinee performances. Growing teacher interest in our 2017 Shakespeare production resulted in the addition of a second matinee, which resulted in a doubling of student attendance. Funds were also raised to provide complimentary tickets for all TRTC plays and events to all area residents of senior housing and assisted living facilities. Thunder River Theatre Company partnered with Carbondale Arts (formerly known as CCAH) to initiate Carbondale's annual Day of the Dead celebration in an effort to better serve the needs of our growing Latin(x) and Hispanic population. The event has grown and expanded over a decade to include other arts organizations, school groups, musicians and over 500 members of the local community. 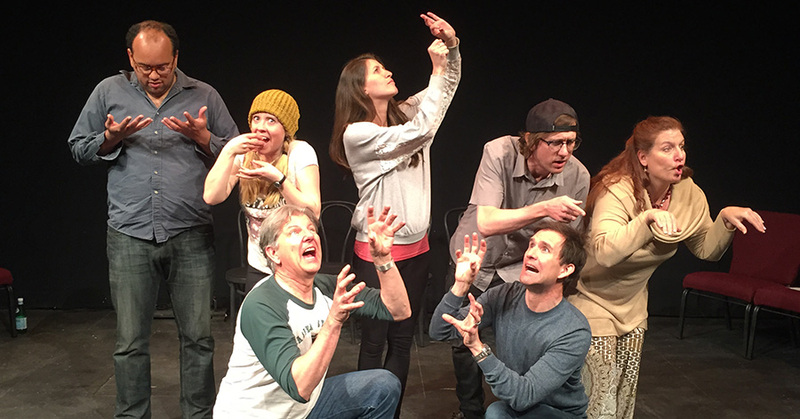 Audiences have packed the house for every performance by Consensual Improv!, TRTC's new adult comedy improvisation troupe, since its debut performance in November 2016. High energy shows feature improv games and audience interaction in the style of "Who's Line Is It Anyway?" and Second City in Chicago. Make sure to buy your tickets early, as these shows sell out every time! A group of devoted TRTC supporters heard our dream of adding more musical offerings, resulting in the generous gift of a grand piano in 2016. In response, TRTC unveiled another new series, "TRTC's Diva Cabaret." 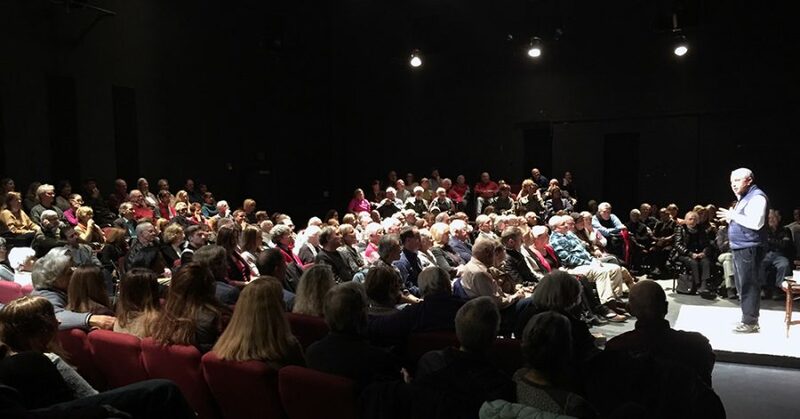 Longtime beloved Roaring Fork Valley cabaret artist, Nina Gabianelli, opened the series with her one woman show "Here I Am" to a sold out crowd. 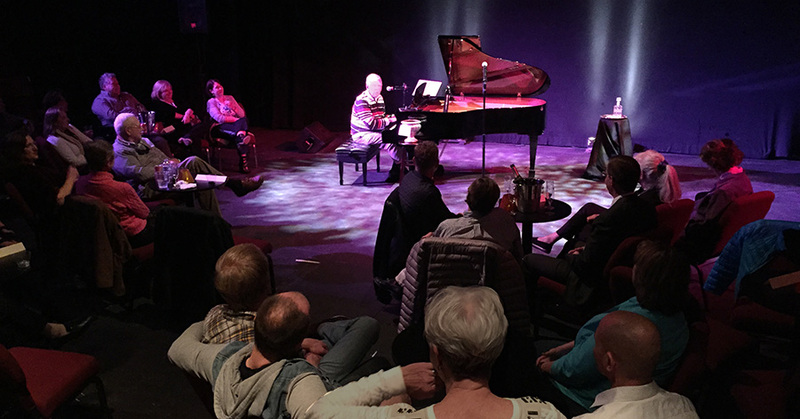 The performance was followed by a rousing evening of live karaoke with the talented David Dyer tickling the ivories as he accompanied singers from throughout the valley. Illustrious speakers such as Madeline Albright, Jimmy and Rosalyn Carter, Ambassador Chris Hill, Thomas Friedman and others address topics such as world affairs, international relations, technology and economics in TRTC's intimate, salon-style setting. Carbondale philanthropist and long-time Thunder River Theatre Company supporter, Jim Calaway, founded the RFCC to give Roaring Fork Valley residents access to today's leading thinkers and change makers. 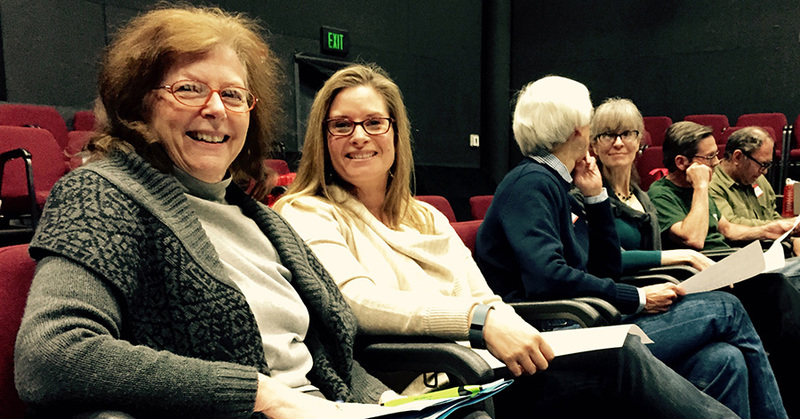 Each year TRTC seeks diverse, emerging voices from the Rocky Mountain Region to develop new work. 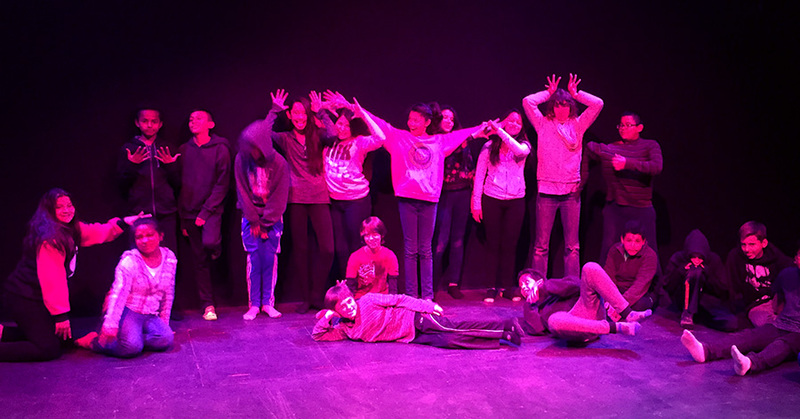 The selected writer enjoys three days of guidance from a local professional director, staging with a company of actors, public showings and audience feedback. "Eudora's Box," a play by Glenwood Springs resident and award-winning playwright Kristin Carlson, was originally workshopped through this series and later received a full production as part of Thunder River Theatre Company's 2011-2012 Season. 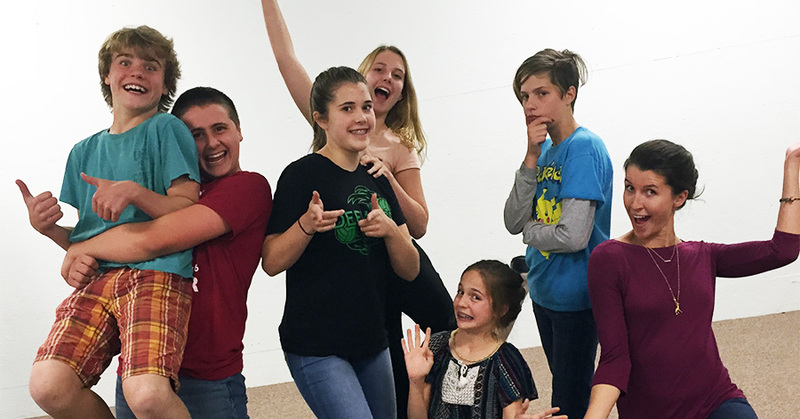 Delight, confidence, friendship and FUN are a part of every theatre class at Thunder River Theatre Company. 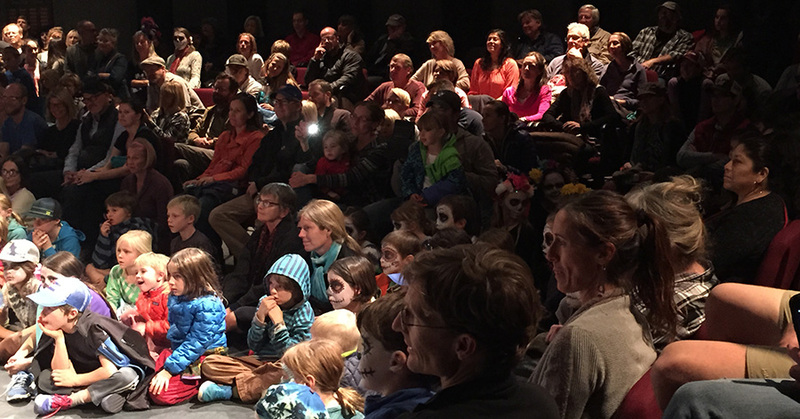 Theatre offers life-changing discoveries for those of any age from 5 to 95. Our Conservatory Studio, generously funded by the Embrey Family Foundation, is the perfect place to let your unexplored muse shine!